Maintaining family traditions; stability in a world that often isn’t. Posted on September 17, 2017 by MT	in African American Parenting, Black Parenting, Parenting, Parenting African American Youth, Parenting Black Boys, Raising African American Men, Uncategorized and tagged African American parenting, African American Student Success, African American students., America's Promise, black parenting, Educating African American Males, family rituals, family traditions, independent parenting, Mothers raising sons, Parenting, Parenting Choices, sibling rivalry, single parent, teenagers and communication, tips for parents. My son and daughter are five years apart. My favorite picture of the two of them was taken the day my daughter was born. My son had taken a big brother class at the hospital and understood that she would look up to him and follow him as the older sibling. The first time they met, she gazed up into his eyes and I’m so grateful my sister-in-law captured it on film. He loved being my helper, getting her diaper or toys when I asked and I tried to give him all of the quality time I could when she was napping or down for the night. Even after the separation, as a solo parent I would still be conscious of the attention that she naturally received as the baby of the family. I made sure they were treated equally regarding chores and rules and would let him stay up to watch television or play a game with me after I tucked her in at night. What I refer to as our night-time snuggle hour (it was cute then, not so much now that he’s a teenager) is a tradition now and even though he won’t admit it, I know he looks forward to it at least once or twice a week. Now that my son is a teenager and my daughter a tween, both are going through emotional and physical changes which naturally distances them. As an introvert, he spends a lot of time in his room and she commands my time and all of the rest of the space in the house with her creative endeavors. I understand that they need the space to develop in their own way but I have to admit it’s been difficult as a parent watching powerless, as age difference, school and puberty send them to their separate corners of the world. I must admit I had given up on our family rituals. Running a household, business and caring for two school aged children is more than a full-time job. I’m usually ready to go to bed before they do, and I felt that they had grown out of our summer vacations, back to school gifts, end of school dinner celebration, church service (twice a month if we can), midnight or early morning movies in our pajamas, Friday pizza and movie nights and other traditions until recently. For the first time in close to a year we watched a movie together last night sharing pizza and the same couch! I almost always order pizza and this past year I would be the only one sitting on the couch watching the movie or most likely it would be just my daughter and I. Last night was different. I ordered the pizza and made plans to go out to a local fundraiser when I expected the kids would be retired to their rooms; but as usual when I make plans, God laughs! After the pizza was demolished I turned on The Dark Knight and invited my son to sit and watch it with me. Years ago he was fascinated by all of the Marvel and DC Comics but gave it up when he got the message from peers that enjoying action figures was childish. I walked out of the room and was floored when I saw him actually reclining on the couch waiting for me. My daughter, not to be outdone fought for her spot on the couch too. I had to play referee once or twice but we watched the entire movie together as a family. I was waiting for them both the bail mid-movie but they didn’t. I silently apologized to my conscience for missing the fundraiser so I could be present, enjoying the snuggle and bonding time with my children instead. I went to bed hopeful and determined to slowly reinstate the not so typical family traditions that we have created over the years. At a time when so much in their lives is changing, the ability to rely on mom’s sometimes quirky traditions offers the nurturing and stability they so desperately need. I am aware that every night may not have a fairy tale ending and that traditions may continue to be tested, yet I remain encouraged. Pizza and move night was a reminder that consistency is important and not to give up until the miracle happens. What are some of the non-traditional traditions that bring your family together? Feel free to share in the comments below or email us at africanamericanparenting@gmail.com. Technology Addiction: Are you a bad influence? Posted on June 17, 2016 by MT	in African American Parenting, Black Parenting, Parenting, Parenting African American Youth, Parenting Black Boys, Raising African American Men, Uncategorized and tagged African American parenting, African American Student Success, African American students., America's Promise, black parenting, Educating African American Males, independent parenting, Mothers raising sons, Parenting, Parenting Choices, single parent, tips for parents. I have to admit. I jump in the car and drive off because I’m running late to pick up one of the kids from somewhere and as soon as my seat belt is across my waist, I reach over into my pocketbook for my mobile phone. It’s become an instinctual yet love-hate relationship with my phone. I have been tempted on several occasions when I’ve left it inside the house attached to my fast-charging cord, to turn the car around and go back for it. What if the school calls? What if someone is trying to text me? What if one of my family members is ill and trying to reach me? What if I have an accident and no way to dial 911? How would I have answered these questions before I had a smart phone? I guess that’s why we had pagers! If I am about to go for a long drive I will go back and get it. One day recently I didn’t go far but planned on being out for a few hours running errands and decided I could live without it. I then realized how dependent we are on our mobile devices. Believe it or not , I did survive but like the days after you’ve ended a love affair, I felt like something important was missing from my daily routine and I thought about my mobile phone often. Wondering if it was plugged up or if I left it on in my bedroom with the battery slowly draining. I worried about what condition it would be in when I returned. I would reach for it every now and then. I realized how much I depended on it for directions and instead had to rely on my memory. I wanted to use my mobile app to purchase coffee and set up my grocery list, and after a few moments and a small internal tantrum I went to the ATM and took out cash to purchase my chai latte, then found a pencil and paper to make my grocery list. Before I knew it I had been running errands for over three hours and had not relied on my mobile phone for anything! I was proud of myself. I did notice just how attached I was to my mobile phone especially since most banking institutions make it so much easier to purchase and even deposit through phone applications. Everybody has an app, and it has created a mobile dependent society. My day around town without my phone taught me just how dependent I was on this small piece of technology. I realized that even at home I find myself often saying to one of my children when they want my attention “just wait one second, I just have to send this text” or “I’ll be right there after I finish this email” , or “get in bed and I’ll be up in a minute” as I return to see who that last Facebook notification was from. The minute usually turns into five then ten and the next thing I know my daughter has read herself to sleep. Yet and still I justify it because I am self-employed and I “have to rely on my phone” to keep me abreast of what’s going on with the social media accounts for my business and to respond quickly to my client’s email or phone message. I need my phone to update my calendar with an event that I saw on Facebook, twitter or text. I justify it and it keeps me oblivious to the control it has on my time and my quality time with my family. It wasn’t until I read this article at Common Sense Media that I realized that it wasn’t just the kids who needed to set limits on the time they spend in front of a little screen, but so did I. My children are allowed one hour of screen time per day, and if they want more screen time, they have to read and/or do some form of physical activity that matches the amount of time they want to watch videos or play on the XBox. This rule is usually met with attitude but it works! For myself, I’ve instituted a “you don’t play until you’re done work” policy for social media. I check it first thing in the morning and I am limited to 15 minutes liking, sharing and tweeting, another half an hour watching my favorite Periscope motivators and then it’s off the phone until I get my work done for the day. The phone gets put away again between the hours of 6-8pm when I am spending time making dinner, checking in with the kids and getting them ready for bed. I keep the phone in another room, and set it to announce calls so that I can choose to answer or ignore depending on who is calling. Any calls/texts I receive I will return after the children go up to bed. This is the first step. I have to be honest and say that some days I just want to zone out and escape into the phone (literally!) when life and parenting etc. gets to be overwhelming! However, I am making a conscious effort to be aware of the wall I put up between myself and my children (and my spouse/partner) when I am obsessed with technology. Check out the chart below and see if you think it represents your family. If it does, you may want to put yourself in time out. Are you the bad influence in your family? We’d love to hear from you and how you set limits on technology (if any) in your home. Posted on February 20, 2016 by MT	in African American Parenting, Black Parenting, Creative/Talented, Educating African American Males, Educating African American Youth in the Suburbs, Gifted and Talented, Intellectually Gifted, Parenting, Parenting African American Youth, Raising African American Men, Spiritually Gifted and tagged African American parenting, Free, Free Children's activities, Free Children's Programs, Free family activities, Free in Philly, Parenting, Parenting Choices, single parenting, Solo Parenting, Things to do in Philly. We Love the idea of having a central place to access cultural and educational programs in Philadelphia for children and families that are FREE! 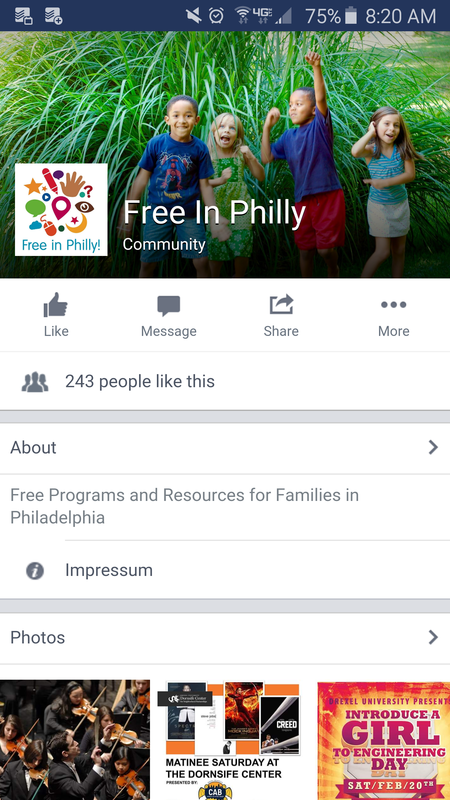 Please visit https://m.facebook.com/freeinphilly , “like” the page and select notifications to stay updated on new content. You can also follow them on Twitter @Free_In_Philly. The website is coming soon! Thank you Barbara Lanell for creating and updating this wonderful resource for parents! 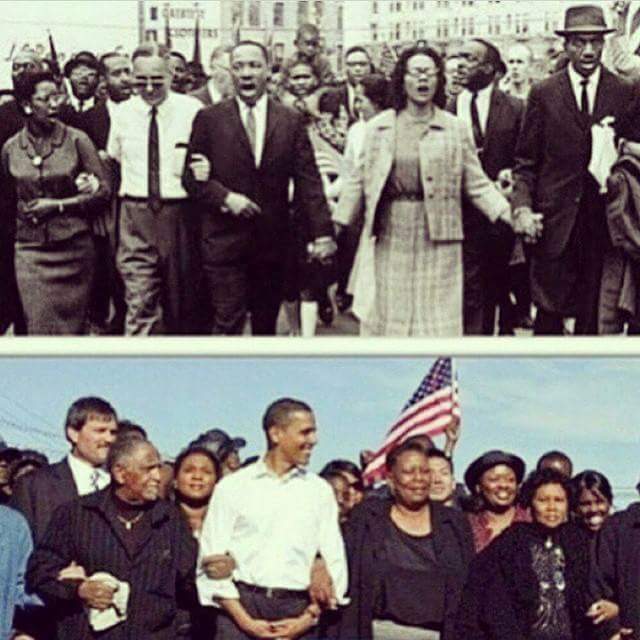 Posted on March 8, 2015 by MT	in African American Parenting, Black Parenting, Creative/Talented, Gifted and Talented, Intellectually Gifted, Parenting, Parenting African American Youth, Parenting Black Boys and tagged #Selma50, African American parenting, America's Promise, Ava DuVernay, black parenting, Civil Rights Movement, Educating African American Males, Educating African American Students in Suburban School Districts, Oprah, Parenting Choices, Should I take my seven year old to see Selma, single parent, Solo Parenting, Storytelling. She is the granddaughter and daughter of storytellers: My father wrote great short essays about his experiences growing up a young black boy in the fifties as well as experiences in the Air Force and the emotions and struggles that followed him into his adult life. Unfortunately he never published any of them. I started writing poetry in third grade and am just starting to tell stories that have been waiting to come out. My daughter is watching and may one day be a great writer too and I think it’s important for her to see stories unfold in front of her eyes. It’s her legacy, her reality and too important of a story to exclude from her growing library. She begged me: It was a different plea than the one I get a the toy store. My daughter has learned about Dr. Martin Luther King Jr. and Malcolm X and other great men and women in American history and she wanted to know more. I thought about one friend’s comment about how she is “my child” and how she has been listening to and enchanted by storytellers since she was an infant. Some things you just do by instinct, but she was right. I even had a storyteller at my son’s 5th birthday while my daughter watched from her baby carrier. After enduring too many “please Mommy”, how could I argue? I prepared her ahead of time: A few of my friends warned me that there were a few graphic moments in the film, especially in the beginning that could be too harsh for someone her age but felt that with the right preparation and conversation beforehand she could handle it. My daughter promised me that she wouldn’t be scared and she wasn’t going to have nightmares and that she wanted to see anything that involved “her people and their struggle and Martin Luther King”. So I Googled “Bloody Selma” and sat next to her while she viewed the actual footage from the march across the Edmund Pettus bridge and she didn’t flinch. As I watched I realized that children such as my father and mother birthed in the midst of segregation didn’t have the option of being sheltered from the brutality of their oppressors. She would walk out more proud of her ancestors’ strength and perseverance: I did get a few strange looks when I walked into the theater with her in tow and I just knew every parent secretly shamed me. I even started to doubt my decision after the opening scene (which was both powerful, shocking and necessary) but when the movie ended and she turned to me with a big smile on her face and said “that was awesome!” I knew that I had made the best decision for her. Not only did she get to see images of courageous women of color in both strong and supporting roles, she saw them fight for their men, children and communities in a way that is not depicted in history books and definitely not on the Disney channel. The Civil Rights struggle was told from a different angle and with a different voice all guided by the vision of a female director and producer of African descent. Definitely a teachable moment! Of course you have to take all of these factors into consideration before choosing to take your younger child to see this PG13 movie. I have to admit even with her excitement over seeing Selma I was worried that she would have nightmares, but none came. There was also one moment where my Mom instinct kicked in and I covered her eyes, but she abruptly moved my hand! The sad truth is, our kids are so exposed to brutality, injustice and violence today, that ‘Bloody Selma’ is not as jarring as we would expect. We cannot expect our children to reflect the qualities that we do not mirror back to them. Sometimes we are the mirror, sometimes it appears in the form of a book, a writer or motion picture but I believe it has to be done by any means necessary.